The radio arm of UTV looks set to get a new name, following the sale of the company's television assets to ITV. This is because ITV wants to retain the UTV name for the Channel 3 service in Northern Ireland, where there continues to be a strong audience attachment to the brand. UTV also operates a channel for viewers in the Republic of Ireland, which went live on the 1st January 2015. 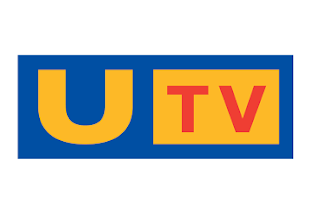 In documents released by UTV ahead of its General Meeting next month, the company confirmed that as part of the TV asset sale agreement, the remainder of UTV will adopt a new corporate name, "to be chosen by the Board in due course". Meanwhile, UTV and ITV have reached an agreement, which will see the newsroom at Havelock House continue to supply Northern Irish radio station U105 with news. It's not clear at this stage if the deal will affect U105's Freeview carriage. The station currently occupies a small slice of bandwidth bundled alongside UTV's channel 3 service as part of the Northern Irish version of the D3&4 Freeview multiplex, distributed to every TV transmitter site in the province. The radio arm of the business, which will be allowed to stay in Havelock House for up to a year, and also includes digital media businesses Simply Zesty and Tibus, will focus on the development of its radio assets in the UK, Ireland and around the world, with a major push planned for talkSPORT International, which currently provides football commentary in six languages in 69 territories around the world. UTV says that talkSPORT International will "seek to further monetise its Premier League worldwide audio rights by expanding its geographical footprint, by broadening its broadcaster base and by creating attractive packages for sponsors and advertisers." The radio business is currently heavily involved in launching the UK's second national DAB digital radio multiplex (D2) with Bauer Media and Arqiva. D2 will next year become the home of new stations TalkRADIO, TalkSPORT2 and Virgin Radio.